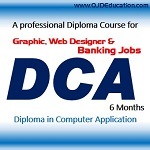 Fulfils the mandatory qualification in computer for recruitment in banks. Helps in clearing easily, the written test conducted by IBPS for recruitment of clerks/officers in Banks. About 40/50 questions (15% of the total marks) are based on computer. Help in Working efficiently offer (selection) in banks recruitments.